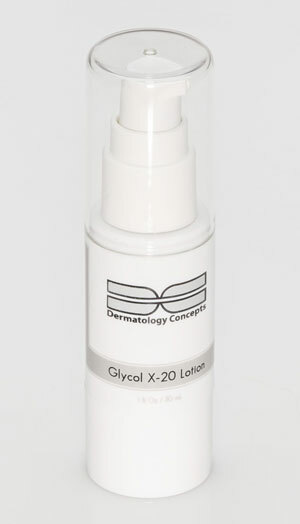 Glycolic Acid is an alpha hydroxy acid. Over the last twenty five years I have been recommending glycolic acid to my patients for the treatment of acne and to prevent aging. Glycolic acid works in acne by exfoliating the skin cells that clog the pore. Glycolic acid works as an anti aging product by regenerating collagen production. The skin is rich with collagen in youth. This collagen is broken down with age resulting in wrinkles and skin that is loose and sagging. Glycolic Acid helps to reverse that phenomenon. In fact, another alpha hydroxy acid that we use in anti aging is poly-L-lactic acid or Sculptra. Sculptra is injected under the skin and stimulates skin cells to produce collagen and stops the breakdown of collagen. Over time, patients who get Sculptra notice their skin get firmer and wrinkles improve. It is an excellent anti aging treatment. We can also use glycolic acid as a chemical peel on the face. When we use glycolic acid as a chemical peel, a high concentration of acid is applied to the face for a short time. This causes the face to turn red and over the next few days the surface layer of skin will peel away. You can achieve the benefits of glycolic acid with daily use. We formulated two types of glycolic acid products. The DC glycolic gel and the DC glycolic lotion. These products contain the highest concentration of glycolic acid found in a topical product. Both are applied to the face once or twice a day. Moisturizers, sunscreen and makeup can be applied over the glycolic acid. Typically, patients with oily skin prefer the gel and those with dry skin like the lotion. Glycolic acid can make your face more sensitive to the sun. If you put a glycolic acid product on your face in the morning, then you should also put a product with sunscreen over the application of glycolic acid.